Toto's Toilet Showroom is Nuts! Did you know that the newest Japanese toilets offer automatic sterilization, a dryer and even a massage option? The short film "A.I. Toilet" imagines a lavatory so advanced that it can take control of your life. 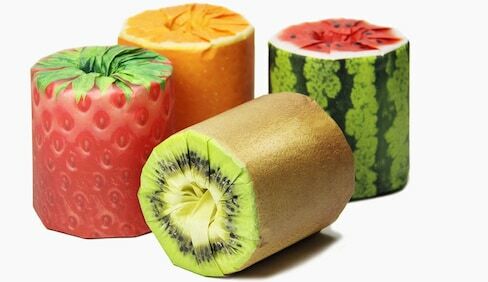 Toilet paper that gives fruit roll-ups a whole new meaning. Toilet-maker Toto has developed a bedside flushable toilet for use by people who are disabled, elderly or infirm. From their remarkably thoughtful design to their weird instruction manuals, there's a lot to love about these overlooked spaces. Providing toilet facilities is a major issue in mountainous and disaster-stricken regions where water and sewer services are not available. To address this need, Hokkaido's Seiwa Denko has developed the Bio-Lux, a bio-toilet that uses no water at all. Watch 2 BuzzFeed Writers Try a Washlet! Two American BuzzFeed writers try out the bidet functions of a Washlet for the first time and hilarious results ensue! Funassyi, the neon yellow pear character, spreads the joy of bathroom cleaning through videos and merchandise. 7 Japanese Gadgets You Can't Live Without! During your stay you may come in contact with these seven gadgets that help make life in Japan a little bit easier. But as soon as you leave, you'll be wishing you had one at home, too! No, it's not an ad for domestic cleanser: "Toire no Kamisama" is a 10-minute acoustic elegy for Kana Uemura's grandmother, and quite possibly the sweetest thing you'll ever hear in a Kansai accent. Sanrio releases a Hello Kitty toilet seat cover and bidet for the most devout Hello Kitty fans. A look at an average highway restroom in Japan reveals that it may just be cleaner than the washroom in your home. Roadside station Forest 276 Otaki looks like a log cabin, but its toilets are fit for a movie star. Japan’s all-female Takarazuka theater has an enlightened 31.5:1 female to male bathroom stall ratio.